Indomitable is the latest incarnation of Brown’s mascot, the Kodiak bear. 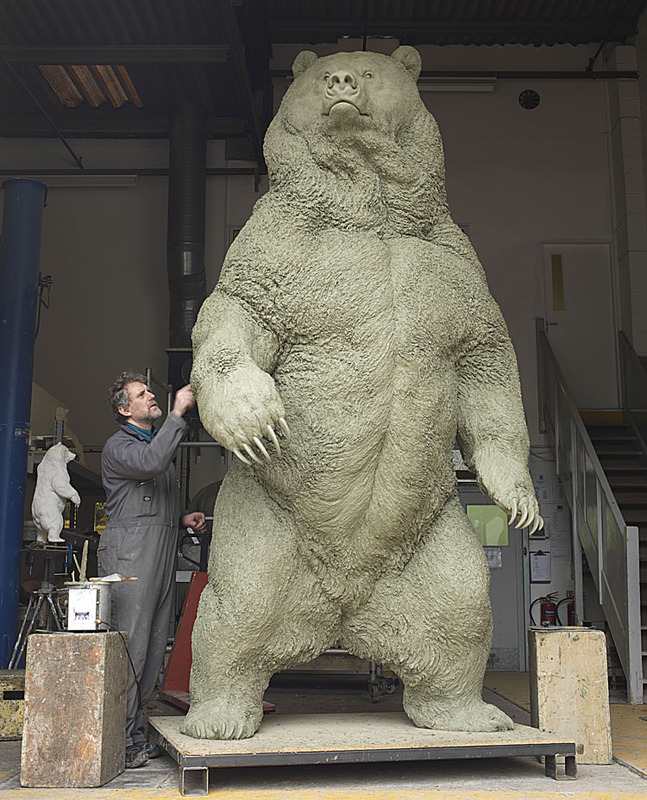 Created by renowned wildlife sculptor Nick Bibby, Indomitably is true to size for a male Kodiak, measuring ten feet in height. 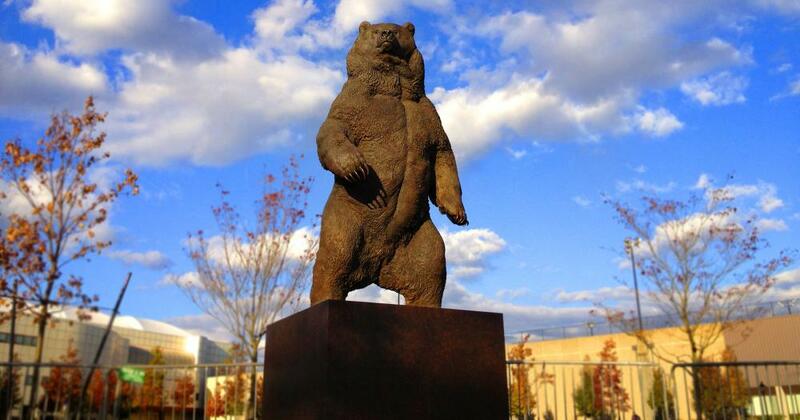 He joins Ernest Geyger's bear fountain at the Faculty Club; Ely Harvey's bronze Bruno, ca. 1923, located on the Main Green; Nicholas Swearer's expressionist bear at Maddock Alumni Center, ca. 1988, and the taxidermied Kodiak bear in the lobby of Meehan Auditorium. Indomitable stands at the entrance of the Nelson Fitness Center and Ittleson Quad, majestically greeting friend and foe. The sculpture was commissioned as part of the new athletic building designed by Robert A.M. Stern Architects with landscape design by Todd Rader and Amy Crews. Bibby decided on a strong standing bear, who while not growling or aggressive was a force to be respected. 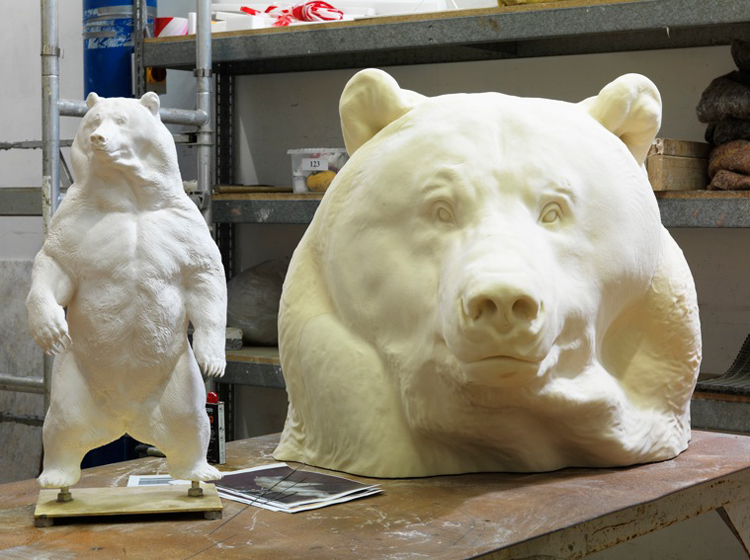 Working over an eighteen-month period, he sculpted Indomitable with great anatomical precision and attention to detail, and cast the sculpture using the labor-intensive lost wax process that has changed little since its inception thousands of years ago. The skillful finishing of Pangolin Editions Foundry translated Bibby’s remarkably detailed rendering into a formidable mascot and magnificent bronze. Additional images of Indomitiable in production can be viewed here.